Nutrition Metabolism is a series of chemical reactions used to synthesize and produce energy from Carbohydrates, proteins, fat, minerals, fibres, vitamins and water. 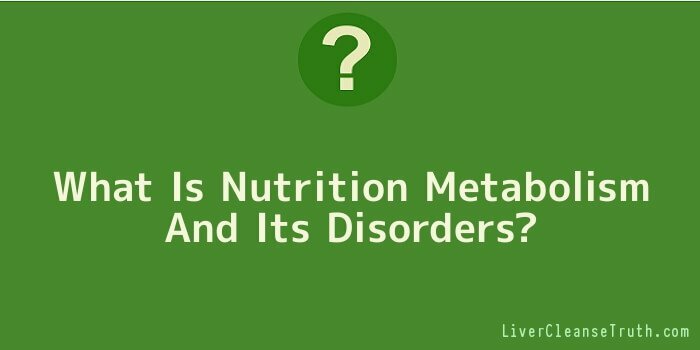 Nutrients are classified into two types they are macronutrients and micronutrients. Macronutrients are nothing but the chemical elements comprised of hydrogen, carbon, nitrogen, oxygen, and sulphur and phosphorous. Macronutrients are available in large quantities which produces more energy during consume of this chemical elements. Vitamins, minerals and fats come under micronutrients as they are available in small quantities. Carbohydrates are comprised of fructose, galactose and glucose. Glucose is the important carbohydrate found in food and also the major source of energy available in the form of fluids for the living organisms. During the process of food digestion glucose, galactose and fructose are obtained and transferred to liver from intestinal vein. Glucose is stored temporarily in the form of glycogen in liver or muscle and from their all the body tissues utilizes the energy. If the body contains excess amount of glucose it was converted into amino acids, fat and biological compounds. Proteins are comprised of oxygen, hydrogen, carbon and nitrogen. These biochemical catalysts form the cellular structure. Protein is the only nutrient that contains nitrogen which plays the key role for the formation of different amino acids. Proteins are the organic compounds of amino acids which are the essential nutrients in building the muscle tissue and organs. Amino acids are very essential for building the cell structures .If the presences of amino acids are in excess state then it was converted into fat and later used for energy metabolism. Fat nutrient consists of fatty acids with glycerine molecules. These acids are obtained from un-branched hydrocarbon chains connected by both saturated and unsaturated fatty acids. The cell membranes functioning system is entirely controlled by these fatty acids. These fatty acids are really helpful in keeping stable body temperature, healthy hair and skin structure. Water: Water is the best solvent substance in which all kinds of chemical reactions can take place. It is the best substance that supports metabolism. Vitamins: Vitamins are the essential organic compounds to the living organism. Vitamins support metabolism at high rate. They act as cofactors or co enzymes in the body structure of the living organisms. Dietary Minerals: Chemical elements are referred to dietary minerals, there are iron and copper. These chemical elements are very important to cause metabolism. Nutrient metabolism disorder causes Maple urine, albinism, histidinaemia, tyrosinaemia, alkaptonuria, diabetes, galactosemia, mellitus and lactose intolerance disease.